We already wrote about Gboard 6.1 Beta, which adds a few notable features including Google Translate integration and an improved theme picker. Since that post, we've received tips about more changes in the update, so let's take a look at a few of them. Before this update, tapping on the microphone button in Gboard would cause the keyboard itself to collapse and show a voice typing interface in its place. 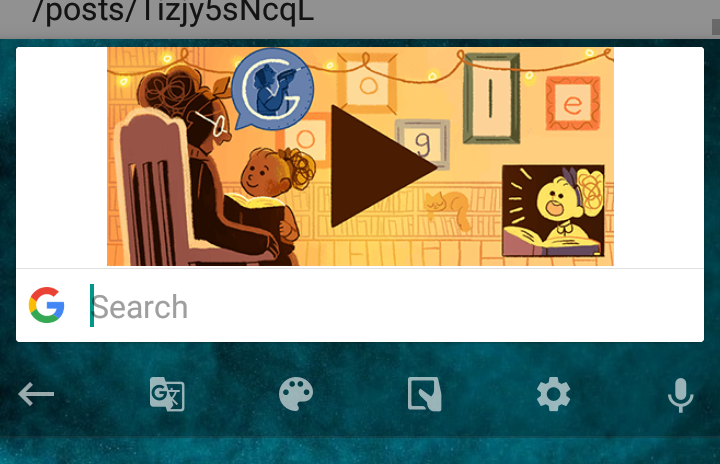 This animation is rather slow if you have a lower-end phone, and if you want to go back to the keyboard, you have to close the voice typing popup and wait for the keyboard to re-appear. 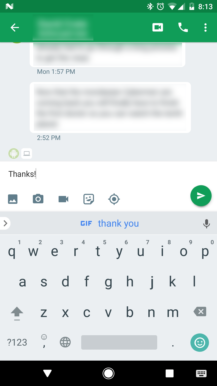 In Gboard 6.1, tapping the microphone button keeps the full keyboard open, only showing an indicator for voice typing on the top right. Not only does this work better than the old solution, but you can simply tap anywhere on the keyboard to stop voice input. Next up is GIF suggestions. When Google Keyboard was updated to Gboard last year, one of the new major features was the ability to insert GIFs (only with compatible apps). 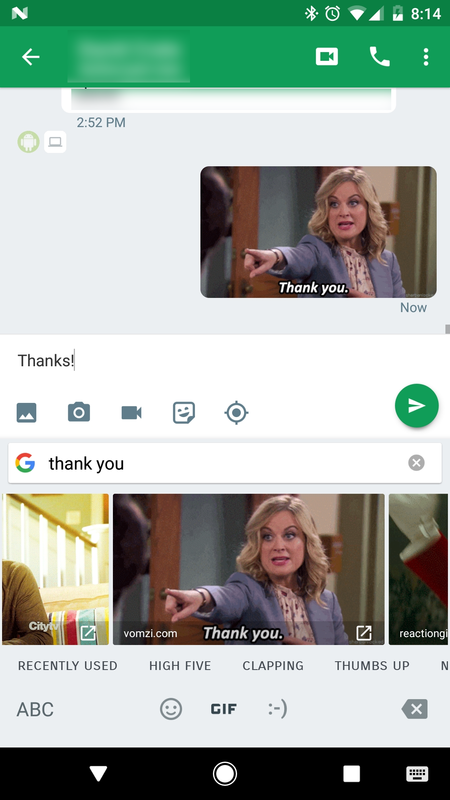 Gboard 6.1 takes that to another level by adding GIF results to the suggestions bar. I don't think I would use this much, but I'm sure at least some of you are psyched about it. 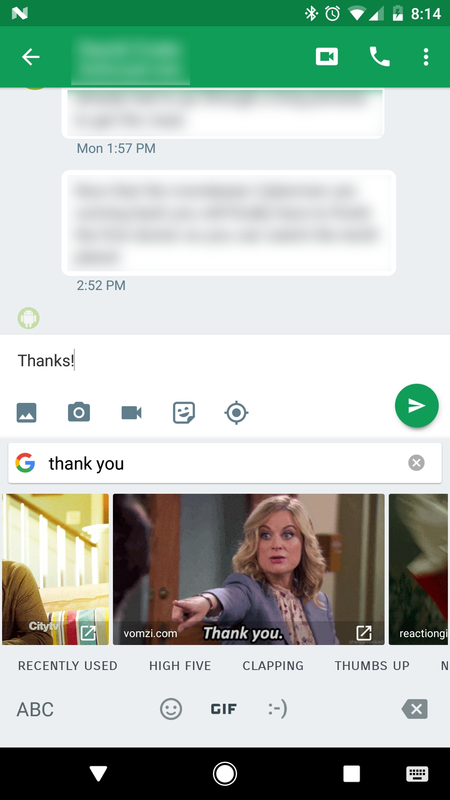 Gboard 6.1 is still in beta, which means you have to either join the beta program on the Play Store or download the APK from APKMirror to try it out. You can also wait for the update to leave beta, which I'm sure isn't too far off.